Carol is a medical sociologist with a strong interest in innovation, creative enquiry and interdisciplinary work. She has experience in video ethnography, web and smartphone based intervention design, implementation science and designer-led co-design work. She has also worked in a commercial environment developing medical websites and interactive materials. 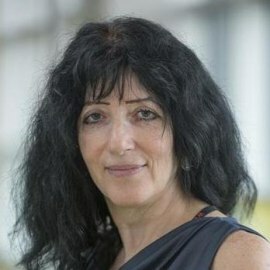 She is currently leading a major knowledge engineering and health informatics study that aims to use survey freetext data to inform healthcare professionals about patient experiences of cancer healthcare in ways they can use to improve services and deliver better outcomes.